Spring Rescue Spa Packages from £39 at Village Hotels Get that spring back in your step with Spring Rescue Spa packages starting from only £39 at Village Hotels. Park and Fly Stays from £49.50 per Night at Village Hotels Break up your travel time and stay the night before you fly from as little £49.50 per night as Village Hotels. Sunday Night Break with 2 Course Dinner from £50 at Village Hotels Treat yourself to a long weekend away with a 2 course dinner for as little as £50 at Village Hotels. Up to 25% Off Spring Breaks at Village Hotels Spring is here and to celebrate we're offering 25% off select bookings at Village Hotels. Girls at the Spa Breaks from £89 per Night at Village Hotels Do something special this spring with spa breaks starting from £44.50 per person at Village Hotels. Saturday Night Break with Dinner and Breakfast from £85 at Village Hotels make your weekend getaway complete with dinner and breakfast from as little as £85 with Saturday night breaks at Village Hotels. Free WiFi at Village Hotels Stay connected wherever you are for free with complimentary WiFi available at Village Hotels. Founded in 1995, Village Hotels never fail to tick every box when it comes to modern, stylish and comfortable stays away from home. Each of their conveniently located 28 hotels offers that classic Village Hotels' concept as well as something extra from each of the different cities. From Aberdeen to Dudly you will find sweet dreams in snazzy rooms where quality is standard and not a luxury. Now with a Village Hotel discount code you can enjoy facilities like free Wi-Fi and flat screen televisions – you’ll be able to take a load off and bask in the comfort of their many amenities - all for less. What’s more is if you want to upgrade to a Club room, you can get a little bit more in luxe and for less than you might have thought. Enjoy Sky HD, complimentary gym use and a Tassimo coffee machine in your room as well as daily mineral water - life's little luxuries are part of the package here at Village Hotels. You can make more of your events with Village Hotels. They understand the importance of business, so whether you are holding a staff conference or meeting with a client for lunch - they have all of the high-tech amenities to ensure the smooth running of your time on the job. With a dedicated team of meeting staff too, from parking to Wi-Fi – your business events can now happen stress-free. Check out what they offer in their Business Brochure. Play harder, with Village Hotels there is no end to the celebrations to be had in their venues. Experts in weddings, themed events and tribute nights; whatever your style, the occasion or your budget – they’ll have you covered to make it memorable. Visit their Occasions' page to see what each hotel can do. How do I use my Village Hotel promo code? 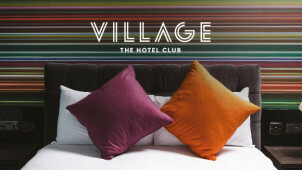 Visit the Village Hotels’ page on the vouchercloud website and select the deal you would like to use. Click ‘View Deal’ on the offer of your choice. We will then apply the saving and you can click through to the Village Hotels’ website. Browse for the offer you are using and choose the location relevant to your booking. Select your check-in and check out dates before clicking 'continue' to make any additional selections to your booking. Click ‘continue’ to then enter your details and complete the booking. Check out their Offers page to find amazing money-saving deals on their rooms, gastro pub grub and even your events bookings. How do I make a Village Hotels reservation? The easiest way to book a room in a Village Hotel is their website online. Select the hotel at your destination, and choose between Standard or Club rooms for your stay, and the rate depending on how flexible you need your booking to be. Once booked, you can retrieve your reservation by using your reservation number and surname on their website. How can I cancel my Village Hotels booking? Your eligibility to receive a refund upon cancellation depends on what rate you chose or whether you chose to add room cancellation protection at the payment stage. Take a look at their Terms and Conditions for policies regarding cancellations; you can also refer to their FAQ page for any other enquiries you may have. Is breakfast included at Village Hotels? Breakfast isn’t included in the room rate to make sure no one pays for something they don’t want, but you can add a delicious start to your day for just £7.50 to your booking online after selecting your room. You can reach Village Hotels online via their contact form, or discover the specific phone number for your local Village Hotel here. For a blowout experience of relaxation, pampering and contentment – a Village Hotel is the place for you. With luxury rooms available at different locations throughout the UK, you can always rest assured that you’ll have a peaceful night’s sleep at a Village Hotel. With a Village Hotel promo code from vouchercloud, now you can save money when you book your stay. With something for everyone, a Village Hotel is the perfect option. Village Hotels offer an honest Best Rate Guarantee on all their hotels, so if you find a lower room rate anywhere else we’ll match the price and give you an extra 10% discount to acknowledge your trouble! If you’ve booked your hotel using your Village Hotel promo code and you think you’ve found it for a better price elsewhere, read the Village Hotels Best Rate Guarantee conditions on their website, and check if you’re eligible to make a claim today. At a Village Hotel, you can take the time to reset and rejuvenate with the fitness and spa facilities available. The health and fitness clubs include over 70 pieces of high-tech equipment to help you achieve optimum performance and reach all of your fitness goals. You can use a Village Hotels discount code to save money on your time in the gym and spa. Chill in the swimming pools, sauna and steam rooms, with spacious workout suites and an abundant choice of machines – you’ll never be stuck in a queue!